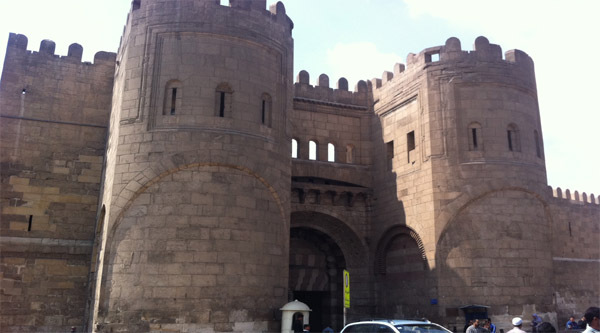 Of the many medieval structures once found on the island of Roda, such as palaces and barracks of early Mamluk period, mosque of Sultan Qaytbay and the Nilometer are all that survive. The mosque has been restored several times and is of interest perhaps only to the dedicated art historians, since it is hard to find and very plain for a royal one. That’s why let’s start our Roda island exploration with visit to the Nilometer which was erected in the 9th century under Abbasids on the very southern tip of the island. Next to the Nilometer in 1092 was constructed a mosque called Mosque of the Miqyas, the mosque stood until 1830, when it was destroyed by the explosion of a powder arsenal built next to it. Sultan al-Saleh Nagm al-Din ordered in 1240 a fortress and a palace to be built on the island. A small part of the palace still remained on the east side of the Nilometer in 1798 when the French expedition came to Egypt (drawings and a description of it are given in the Description d’Egypte). Later, in the 1830s, Ibrahim Pasha had the northern half of the island turned into a botanical forest. The palace was built on the southern end of Roda in 1851, partially covering the site of the Mosque of the Miqyas. The pavilion on the west is all that remains of the palace nowadays. It was part of the salamlik or public area. The Manesterly Palace with its many rooms, painted foliage decorating the ceilings, curvy light décor and embellished golden frames, all in Rococo (Late Boroque) style, stands as a testament of political change and celebration of powerful arts. 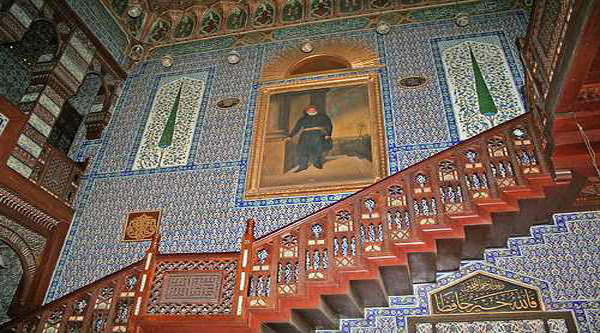 Hassan Fouad Pasha El-Manesterly, the minister of interior at that time, built the residential palace in 1851 on Al-Roda Island on the Nile bank. Egypt’s 1952 revolution, however, saw the palace seized by the government and registered as public property. In 1954 it was put on Egypt’s antiquities list. Diverse concerts were performed in the palace as it was converted into a musical centre. In 2002 a museum dedicated to the late, legendary Egyptian singer Om Kalthoum was established inside the palace to add to its prestige. Later in 1901 prince Mohammed Ali Tawfiq Pasha built his grand residence close to the northern end of the island. Now the place is known as Manial Palace Museum. Across from the island of Roda on the east side stands the great hexagonal intake tower for the aqueduct built in Mamluk times. Almost 25 meters high, the tower has a well at the center from which Nile water was raised by six waterwheels (saqyas), turned by oxen that were herded up to the tower by a ramp on the east side. The water then ran by gravity along the aqueduct east and then north to the Citadel. On the island just across from Manial Palace, in the Convention Center of the Faculty of Medicine, we find a first-of-its kind museum that tells the history of medicine in Egypt. 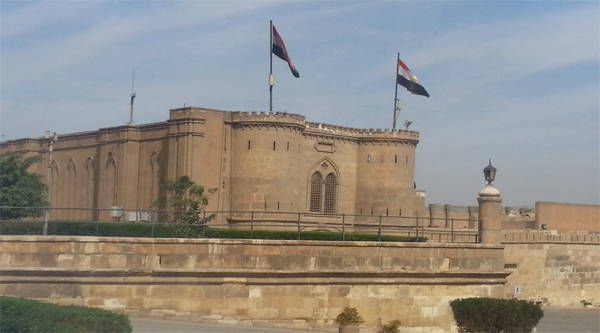 The museum is situated in a former palace known as Qasr al-Aini. Dr Mohammed al-Menawi developed the idea,and in March 1998 the museum was inaugurated. The gallery exhibits paintings depicting hospital scenes in early 19th century Cairo and photographs of doctors and scholars who made headway in the medical field. There are rare books and an encyclopedia with biographies about the professors and doctors. There is an antique chair apparatus for weighing patients. Two antique wooden pharmacies that stored medicines are also on display, as are the medical tools of Clot Bey, a French forensic physician who came to Egypt at the request of Mohammed Ali in 1825.